The concept of hair removal through laser technology has been a debated topic since its introduction 30 years ago and is slowly gaining acceptance. Excess hair growth in unwanted areas may result from endocrine disease, heredity and/or drug therapy, and falls into three categories: hirsutism, hypertrichosis and aesthetics. Hirsutism is unique in females. It is defined by hair growth in a male pattern distribution, mainly facial hair in the beard and/or upper lip. Hypertrichosis is defined as excessive hair in a normal distribution or in abnormal locations with genetic or ethnic origin. Aesthetics pertains to beauty or the improvement of appearance. 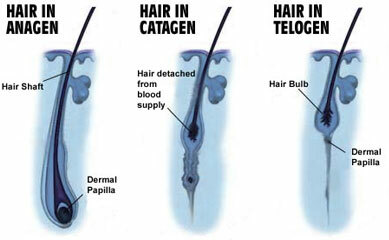 Hair revolves through three phases of growth: angaen, catagen and telogen. It is only during the growing phase, anagen, that hair reacts to laser light. The goal in hair removal is for laser light to penetrate to the depth of the hair follicle during the anagen pahse to achieve long-term results. The Apogee Elite laser system employs the principle of Thermokinetic Selectivity�, which describes the varying epidermal impact of the 755 and 1064nm wavelengths to the hair versus the epidermis. The principals of selective photothermolysis and thermokinetic selectivity (TKS�) will be further explained. Topics such as: laser safety, patient selection and consultation will be detailed. Anagen: The phase of the hair cycle during which synthesis of hair takes place. This is the active growing phase in which the hair bulb is intact. The hair grows in both directions, upward and downward. Early anagen is when the bulb is closes to the surface of the skin allowing for the most efficacious treatment. The time span for this phase is measured in months/years. Catagen: Brief intermediate phase between anagen and telogen. During this phase, the body absorbs the lower third of the follicle. The time span for this phase is measured by weeks. Telogen: This is the resting phase. The hair bulb is no longer present. It is now a club hair, which will fall out or be pushed out of the follicle by a new anagen growing hair. the time span for this phase is measured in weeks/months.